Tom here with commentary on the rankings changes from Week 8. Two big movers this week, Philadelphia and Arizona, each moving over ten ranks. 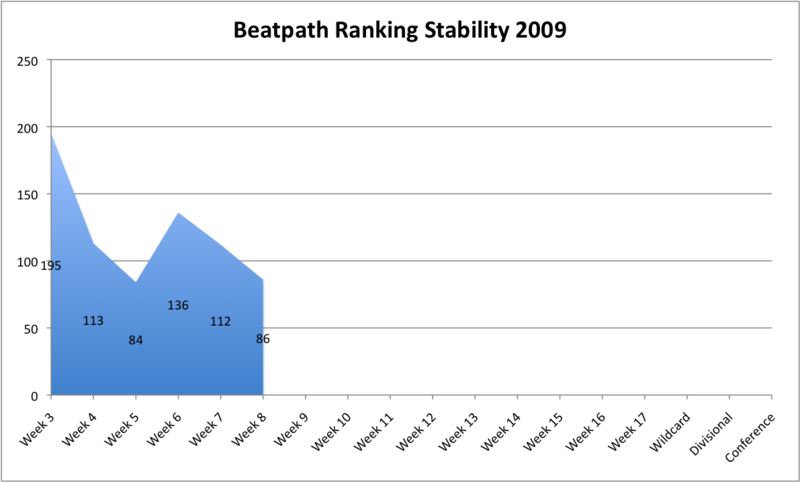 The overall ranking changes have fallen again, demonstrating more overall stability in the rankings after the shakeup in Week 6. One point of comparison with Week 8 is Week 5. 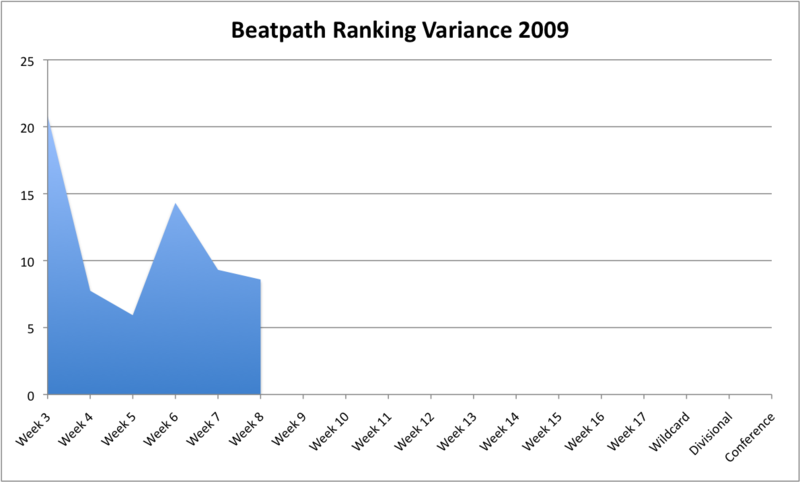 Approximately the same overall number of rank changes (86 vs. 84), but a higher variance this week. The difference in variance means that back in Week 5 lots of teams moved an average amount, whereas in Week 8 most teams had a small change in rank while a few teams had major shifts. Last week the pick confidence didn’t do well. The top confidence picks were less reliable than the low confidence picks. We’ll see if the shuffle in the ranks gives us greater accuracy in making picks. As usual, I’ll return to fill in the results as they roll in.